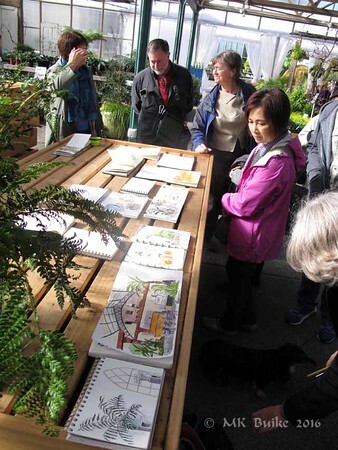 We enjoyed an unusually warm and sunny day at our autumn outing to Swanson's Nursery. There were so many interesting displays and so much rich, fall color. Though it wasn't really an autumn display, I was fascinated by the topiary dinosaurs. 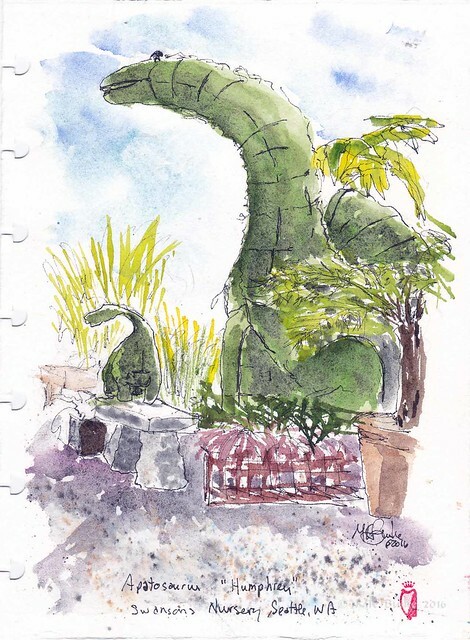 "Our new Apatosaurus comes form the design work of Diane Hansen". It's name is Humphrey. The metal framework was built by Joe Acreee. (Arches paper; Lamy EF fountain pen with Platinum Carbon Black ink; Daniel Smith watercolor). As usual, I had enough time left for a quick secondary sketch. This was my favorite in the Scarecrow contest. The "magazine" is a bit of photo collage. 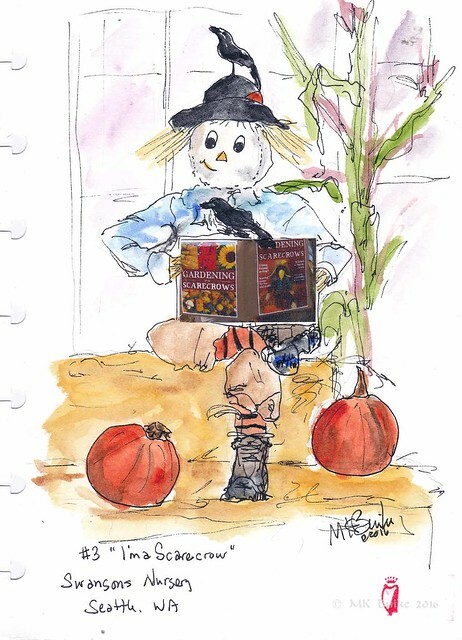 It is titled Gardening for Scarecrows and contains articles "Crows: Friend or Foe? "; "Scaring crows for fun and profit"; "To Care or Not to Scare"; "How to be outstanding in your field". Groan. Steve Reddy is missing from this group photo as he had to leave early to teach his class at Gage! The dachshund, Hairy Truman, even joined our photo. 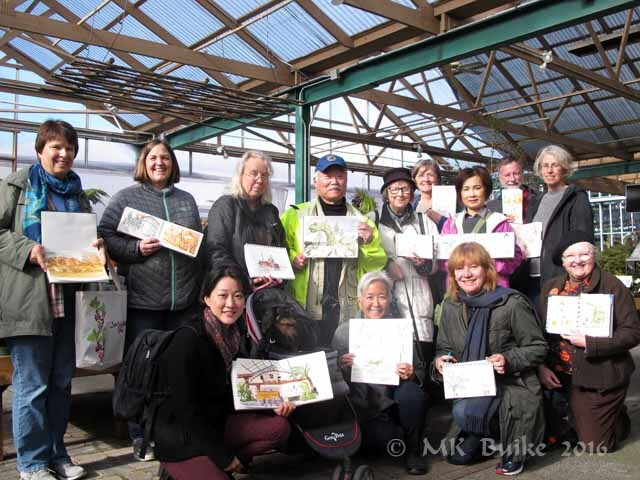 Wonderful sketches, Kate, and beautifully painted! !